THe GWP 47 combines the best from both the stall and the pitch regulated wind turbines: It has the same regulation options as the pitch regulated turbine, but by using the stall properties of the blades, the large load and power fluctuations that are typical for a pitch regulated machine are avoided. 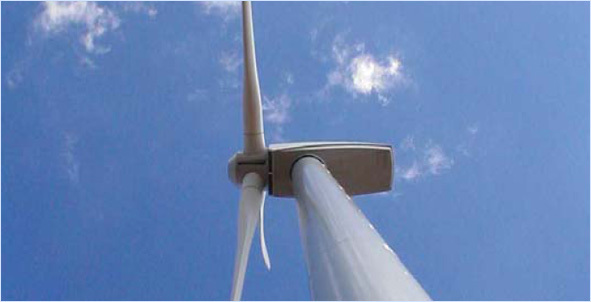 The controller is developed to self optimize the blade angle for wind speeds below rated power. Due to its blade regulation it is possible to make a lot smoother cut-in to the grid at start-up, and cut-out to shut down. This will give less noise on the grid in these situations and at the same time extends the lifetime of the transmission and electrical system of the turbine.